It is so amazing to me when I am able to look back at my life and see the guidance of God's hand. Jon and I have joked for years that the time we spent in our primitive log cabin was the beginning of this incredible journey the Lord has started for us. 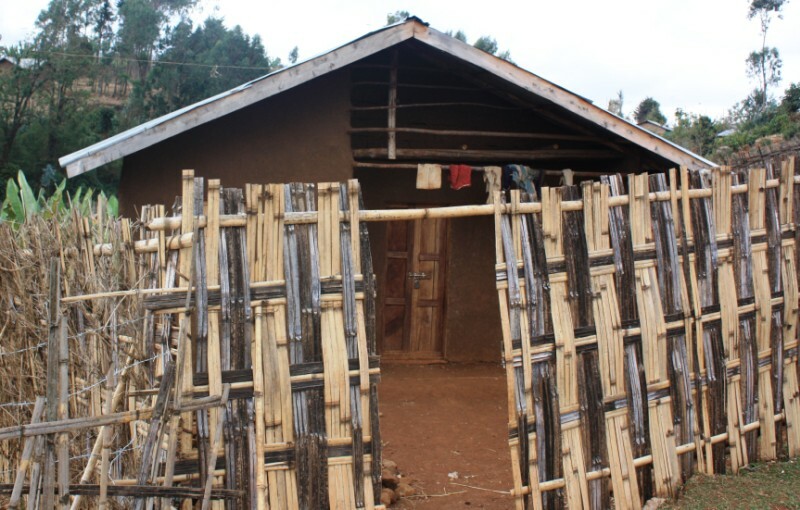 We certainly didn't see the rural country side of Ethiopia anywhere in our future when we started the construction of the cabin or throughout the year or so that we lived there. Now, we can't help but see how the life that we lived way out in the countryside of Lee County, NC will mirror much of the way that we will live in Chencha, Ethiopia. The Kota Ganate Hatchery is set to break ground this summer and that means that our family will leave the relatively western comfort (when I say relatively I mean that it!) to head to Chencha and live on site with the farm and hatchery. The property granted to us by the local government in Chencha includes several small houses (Onesimus compensated the owners for the homes). It is one of these houses that will become our new home. Jon has casually been trying to prepare me for what our first months might be like after the move down south. In order to make the transition more positive he has been comparing it to the happy times that we had at the cabin. Recently, he mentioned that the house we will probably move into doesn't have any plumbing. His spin, “it will be like when we hauled water at the cabin.” He is right, we did haul water and groceries. We also spent our evenings reading by the small light of olive oil lamps. We loved it. I can honestly say my one complaint of our time in the cabin was the heat and humidity of the North Carolina summer. At least in Chencha I won't have to contend with any temperatures above 80°. Another huge difference between our time in the cabin and our time in Chencha will be that during our time in the cabin we weren't parents. Dawit will certainly add a new level of challenges while adjusting to rural Ethiopian life. For now I'm holding onto Jon's comparisons of our time off the grid in NC. We really don't know what our move will be like. Jon will preview the house next week and Dawit, Britta and I won't head down until probably May. No matter what awaits us in Chencha I know that God has been preparing us and that He will continue to guide us.